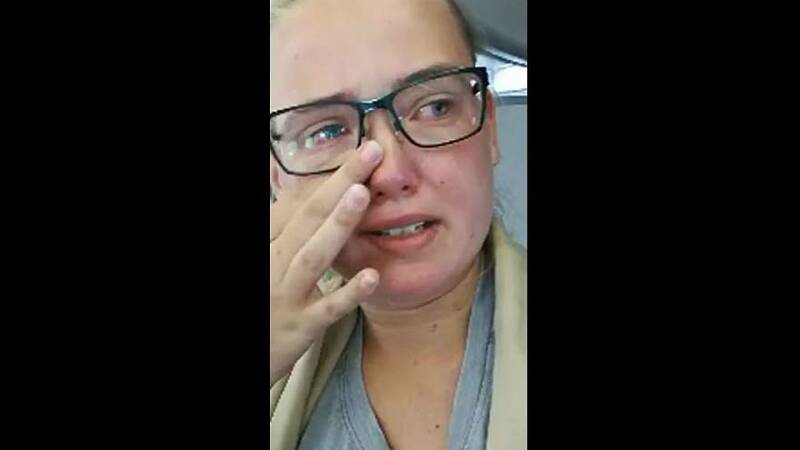 Swedish prosecutors on Friday issued an indictment against a woman who attempted to stop the deportation of an Afghani man when she blocked the takeoff of a plane by refusing to sit down. The man in question had previously had his asylum application rejected. Elin Ersson's lawyer, Tomas Fridh, told Euronews the student is "disappointed" by the decision as she hoped "not to get a trial and that the prosecutor would have the opinion this is legal." Ersson live streamed the protest on a Turkish Airlines flight at Landvetter Airport in Gothenburg plane on July 23. She refused to sit down until the man, 50, was taken off the plane. He was later deported. Ersson violated the Swedish aviation act by remaining standing when the plane was set to take off, according to the indictment. However, Fridh maintained that Ersson had not committed a crime as the Swedish aviation at applied only to actions in the air and the flight in question was grounded when she carried out her protest. He added that she was prepared to follow the instructions of the plane's pilot and left the vehicle as soon as she was requested to do so — another requirement of the act. "Before she (Ersson) took action she tried to get as much information as possible about what's legal in Sweden and how police and prosecutors have acted towards earlier cases of this kind of action," he explained. Adding that, to the defence's knowledge, authorities have never prosecuted in this kind of situation before. Fridh told Euronews if the student is convicted, "it's not going to be a big punishment" and she will likely be handed an income-tested fine of between 3,000 and 7,000 Swedish krona (around €289-€674). "There's not going to be any jail time at all, it's not going to be on the map," he added. He said she would continue to fight forced repatriation of refugees to Afghanistan.